Imagine having the beautiful view of the Sulu Sea during the day and the sound of the waves crashing below your luxurious suite on a cliff when you sleep at night, all with utmost privacy. Two weeks have passed since my birthday, and Sinulog has just ended but I am still daydreaming about our amazing suite at Antulang Beach Resort. A few weeks ago, we celebrated my birthday at Antulang Beach Resort, and it was the best birthday ever! Tucked in Siaton, Negros Oriental, Antulang, which means a giant clam, is an hour and a half drive from Dumaguete City. It is the most famous resort in the south of Negros Oriental and with its secluded location, one can have a rest and relaxation at an ultimate solitude and tranquility. We stayed in one of their executive suites that has an outdoor heated jacuzzi with a panoramic view of the ocean. We really loved our suite, we did not want to come out at all. Aside from having the view of the ocean right at our very own private balcony, we had the view of the infinity pool from our window! We definitely had the most comfortable night ever amidst the resort's excellent amenities. Read on to get a glimpse of our cozy suite! And here's our shower room with a view! Don't worry tho, you won't be seen by someone outside while enjoying your hot shower. On our second day, we woke up early to have some sun and enjoy the resort's infinity pool. Did you know that Antulang Beach Resort is one of the first few resorts to have an infinity pool? The pools are available 24 hours so guests can go star gazing at night and swim in the illuminated water. It also has a pool for diving lessons which is 15 feet deep. Antulang also offers water activities like snorkeling, kayaking and a cruise to the famed Apo Island and Tambobo Bay with their yacht, the Annabelle Lee. With its diverse marine life, Antulang is a home of 17 dive sites with species like hawksbill turtle, groupers, manta rays and many more. See my previous post about our sunset cruise to Tambobo Bay on my birthday "here." Their reading room is probably my favorite part, well aside from our room. It is beautifully curated and definitely instagrammable in every corner. This bookworm's haven contains more than 5,000 books. I spotted a Harry Potter and I immediately wanted to drag it to the beach and grab a pina colada. Before checking-out, a staff toured us around the 6-hectare property. Antulang is the first resort to build a pool villa and right now, they boast to have at least six of which. We had the chance to check out the exact one where Ryan Agoncillo proposed to his wife, Judy Ann Santos. The villa is so breathtaking, perfect place for a wedding proposal, I must say. Imagine having this one all to yourself. Situated on a cliff, Antulang contains different beautiful rock formations so do not forget to explore some when you visit the resort. A long and winding staircase will lead you to a white beach with pebbles. The resort has a restaurant named Japi and a bar right next to the infinity pool with the view of the azure ocean called Waldo's Bar. Both offered mouthwatering foods from local to seafoods to international cuisine. We difinetely had a great time at Antulang Beach Resort, especially the sunset cruise to Tambobo Bay! Will not think twice of going back with my family for an ultimate fun. From Dumaguete City, you can take a bus en route to Bayawan from the Ceres Bus Terminal [Dumaguete-Siaton: P50.00 (aircon)] near Robinson's Mall, just tell the conductor that you're going to Antulang and they will drop you off at Siaton. Or you can take a jeepney (Dumaguete-Siaton: P25.00) from the paradahan for Siaton near Robinson's also. From the highway, there's no other option but to ride a motorcycle (habal-habal) for P100.00 going to the resort which is 8 kilometers away. Or you can arrange a shuttle upon booking that will pick you up from any parts of Dumaguete City and will take you directly to Antulang. 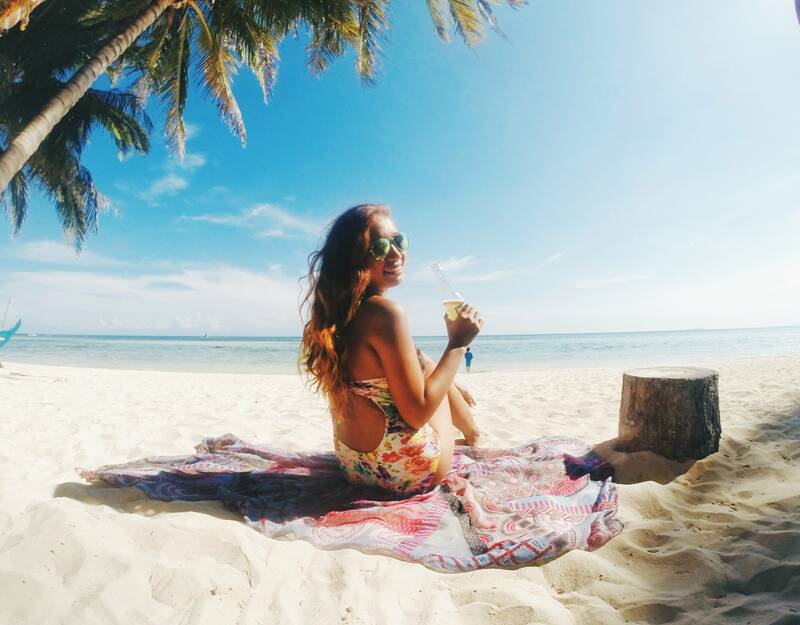 Below is the video of our whole Antulang Beach Resort Experience! We recently had our wedding at this place, and we couldn't have been happier. We had a particular vision for our wedding, and at these wedding venues we were given just that. This is a unique space, with an incredible view. Highly recommended!